Surfing Life has helped shape and inform generations of surfers for three decades. Our mission is to help make you a better surfer. 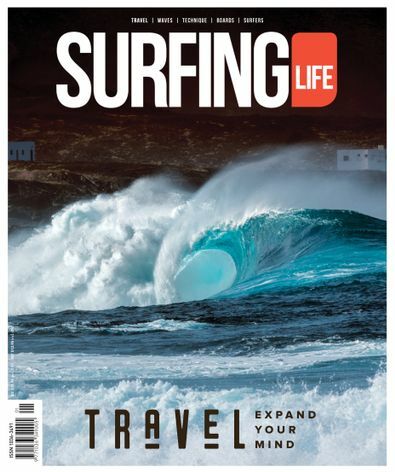 We do this by publishing five issues based on the five pillars of the surfing experience - Surfers, Surfboards, Waves, Travel and Technique - each issue dedicated to one subject alone, providing you with the substance, depth and focus that makes it worth buying. This is the purpose of a surf mag in the digital age - to inspire and inform, to be an essential source of reference to the active surfer. This is the bible! It never fails to deliver on the laughs and the quality. This is published 5 times per year, please allow up to 10-13 weeks for your first delivery. Your subscription will begin with the next available issue.